Ambition and a touch of luck don’t do a guitarist any harm, but too much ambition and bad luck can be fatal. There must be talent, too. Some guitarists have plenty of talent; I don’t know of any guitarist without any talent whatsoever. However, the ability to give a composition an individual and precise interpretation is a completely different matter. There is the question of style, but not that alone. Everything that the guitarist interprets must have his or her own characteristic, indisputable stamp. This is the factor, which distinguishes guitarists from each other; it is not talent, for there is sufficient talent around. Guitarists do not need tricks or gimmicks; nor do they even need to be the most intelligent people in the neighbourhood, but sometimes they must be able quite simply to preserve their sense of wonder at the miracle of sound. 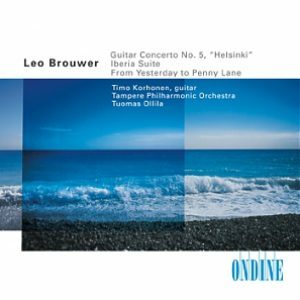 Hakola and Hosokawa Guitar Concertos: World Premiere recording of two poignant new concertos by Toshio Hosokawa and Kimmo Hakola. Timo Korhonen with the Oulu Symphony and Santtumatias Rouvali, conductor. Pasacalle: A musical passage from the 15th to 20th century in Latin world. Timo Korhonen with Mezzo Soprano Monica Groop. 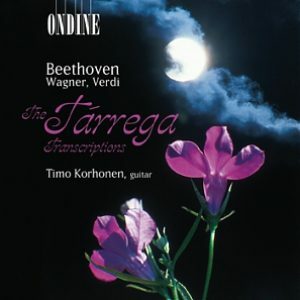 Arrangements by Timo Korhonen. 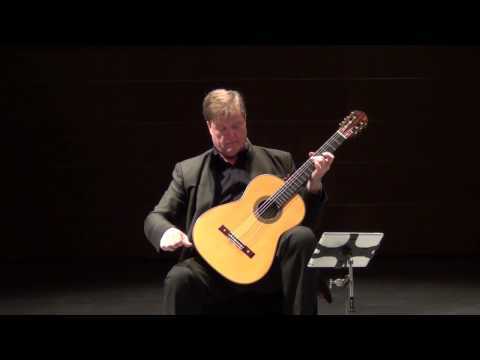 Johann Sebastian Bach: Partitas for Solo Violin – arranged for guitar by Timo Korhonen. Fryderyk Chopin arr. 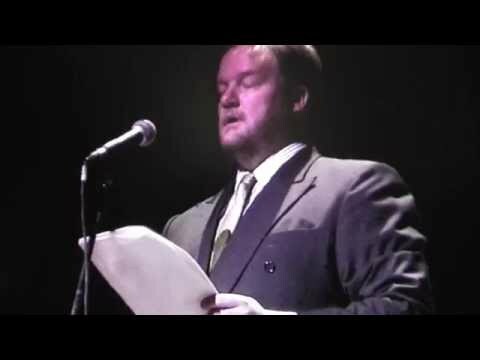 Tárrega: Nocturne op. 32/1, Nocturne op. 9/2, Prélude op. 28/7, Prélude op. 28/20, Prélude op.28/15, Mazurka op.33/1, Mazurka op. 24/3, Mazurka op. 33/4, Waltz op.34/2. M.Llobet: 10 Catalan Folk Songs. Heitor Villa-Lobos: Complete Works for Guitar Vol. 1) Introduction aux Chôros for guitar and orchestra, Concerto for guitar and orchestra,12 Etudés. Finnish RSO, Oramo. Heitor Villa-Lobos: Complete Works for Guitar Vol. 2) Préludes, Sextuor Mystique, Distribuiçao de Flores, Modinha, Bachianas Brasileiras No. 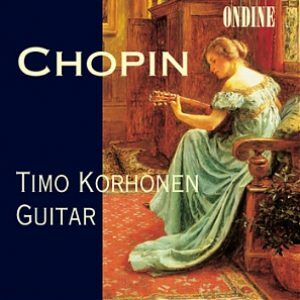 5, Suite Populaire Bresiliénne, Chôros No. 1. with chamber ensemble. 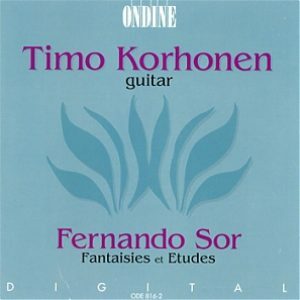 Fernando Sor: Fantaisie op. 30, Etudes op. 35 II book, Etude op. 31 nr. 23, Fantaisie Villageoise op. 52, Fantaisie Elegiaque op. 59. 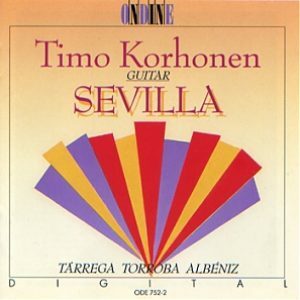 Folk Songs from Spain, Finland and China. Dilbér, soprano and Korhonen, guitar. 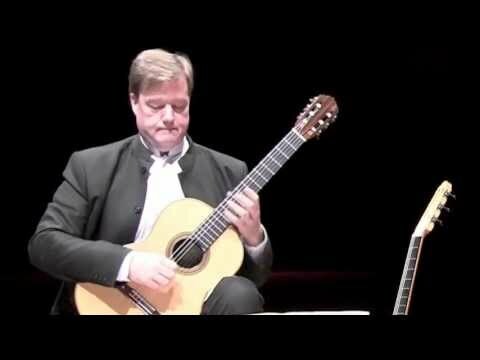 Manuel Ponce: Sonatina Meridional, Théme, Varié et Finale, Sonata No. 3, Variations sur “Folia d’España” et Fugue. Francisco Tárrega: Recuerdos de la Alhambra, Capricho Arábe. Moreno Torroba: Suite Castellana, Torija, Sonatina. Albeniz: Córdoba, Capricho Catalan, Sevilla.